This is my Czech glass birthstone rosary for December. 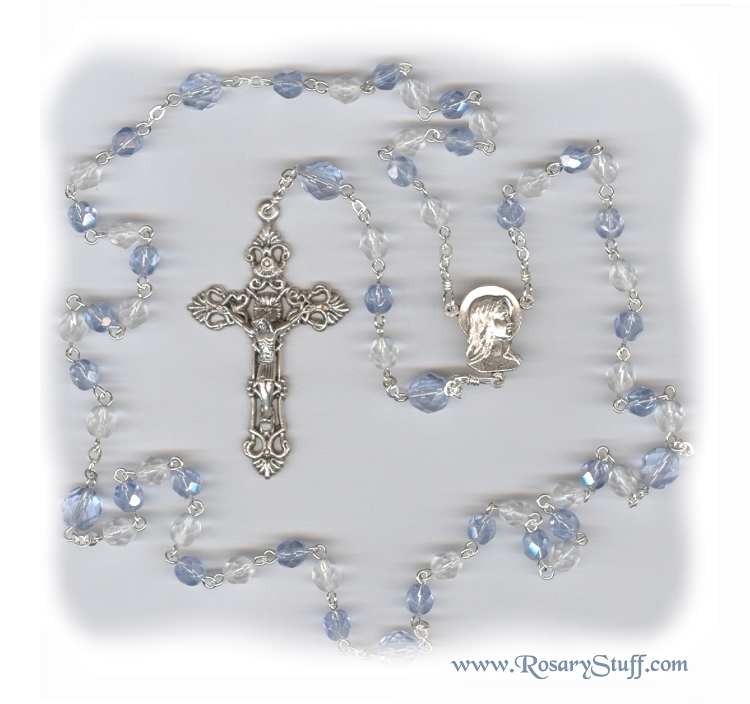 Although this rosary is made using Czech glass, the traditional birthstone for December is a stone called Blue Zircon. December is one of those rare months that now offers a variety of birthstone options. Although the light blue zircon color (shown here) is traditional, two other options have been recently added to the list: turquoise and tanzanite. If you want to mix colors, or create something different, please let me know.